Allergy season often hits Texans hard. In the spring, it can start as early as February and last through late May. If you often face severe allergy symptoms, you need strategies to control them. The following are a few common irritants in River Oaks, Texas, and a handful of techniques for avoiding them indoors. It falls from trees, drifts from flowers, and collects on the roof of your car. If you sneeze every time you walk outside during the springtime, pollen serves as a likely culprit. Unfortunately, you can’t escape this allergen, but you can keep your symptoms under control — especially indoors. Start by removing your shoes when you walk inside. You don’t want to track pollen spores all through your house. Use a high-quality air filter, as well, to trap any invaders. If simple remedies don’t reduce your allergies, consult your physician for the safest and most effective way to control your symptoms. As temperatures in River Oaks continue to climb, so do the humidity levels. Since mold thrives in a moist environment, you might find it growing on different surfaces throughout your home or on your air conditioning system’s coils. Mold growth can cause problems for everyone, but it can be even more problematic for those with chronic respiratory problems. Consider having one of our expert technicians install a UV lamp in your air conditioner. It will zap mold spores that might try to develop in the drain pan or on the coils and make your home’s air safer to breathe. Spring also brings ragweed allergies to the forefronts of Texans’ minds. 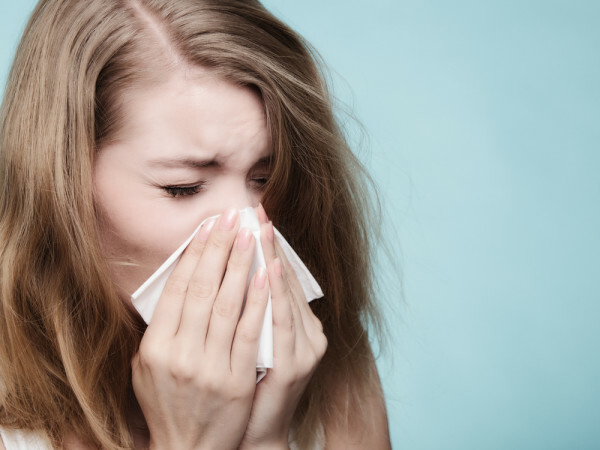 You might suffer from a runny nose, sore throat, and frequent sneezing. If you suffer from ragweed allergies or similar sensitivities, your home might benefit from an air cleaner or purifier. The systems will effectively remove airborne contaminants from your home and increase your comfort levels. Spring brings warmer weather and beautiful blue skies, but it’s also hard on allergy sufferers. To learn more about HVAC system upgrades and additions that improve indoor air quality, call Conditioned Air at 281-201-0356 to schedule a consultation.